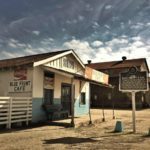 LIVE Blues at the Blue Front Cafe Friday, January 9 8PM-Until Blue Front Cafe 107 E Railroad Ave Bentonia, MS 39040 Blues at the Blue Front will be kicking the door open on 2017 with Lightnin’ Malcolm filling the historic juke with the groove of his Hill Country Blues this Friday, January 9th, starting around 8:00 p.m. Don’t miss this rare opportunity to see the Blue Front in full swing! Don’t forget, the 45th Anniversary Bentonia Blues Festival will take place June 12-17, 2017, in and around Bentonia. Make your plans now to attend!